Whether you’re sitting down to watch a reimagined version of your favourite story or are diving into a new play, ready to acquaint yourselves with new characters, there’s something magical about visiting the theatre. However, worrying about manoeuvring down the darkened stairs or the location of your red velvet seat can sometimes dampen the experience. “Access in theatres is important because nobody should have to face barriers in them being able to engage due to an impairment”, shares Callum from Access Scottish Theatre. However, due to the architecture of many theatres dating back to the 19th century, this isn’t always the case. With opulent staircases and exquisite attention to detail, some locations are still in need of renovation in order to bring them up to the accessibility standards that they should meet. 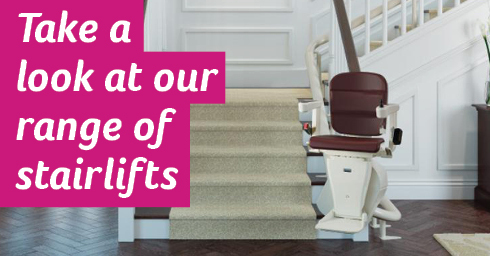 From dementia-friendly performances to step-free access, perfect for those who use a home stairlift, take a look at the guide below before watching your next production. “The Coliseum provides excellent quality theatre and opportunities to participate in the performing arts for all people from Oldham and the surrounding areas. Our building was built in 1887, and so presents some access challenges due to its age, however, inclusivity and care for our audiences is a priority across the entire company. Season brochure available in large print, voice recorded and via email. Located in Southwark, the Unicorn Theatre performs around 20 shows a year aimed at young people between the ages of 6 months and 18 years. Their immersive experiences aim to establish a connection with the audience, and their community work ensures that theatre is accessible to all. In addition to providing workshops for disabled children, in partnership with the charity Scope, the Unicorn Theatre like to ensure that “there are shows for everyone”. Offering wheelchair spaces which can be booked in advance, the theatre also offers relaxed performances for those who have learning difficulties or sensory needs. During these performances, alterations have been made to the lighting and sound in order to make it more relaxed environment, and access to a chill-out room can make all the difference either before, after or during the show. The Barbican Theatre boasts incredible architecture and a plethora of performance spaces, but its access scheme is what sets this apart from other theatres in the capital. In order to establish their status as a world-class arts venue, they strive to provide the best accessible access for their guests, with the Barbican Centre access group meeting regularly to assess if any changes are necessary. Inside, opt for a free large-print programme to commemorate your visit before sitting down in a wheelchair space to enjoy the performance. With audio-described and captioned shows frequently taking place, you’ll be spoilt for choice as to what you wish to see. Plus, with the Access Member Scheme, you may be entitled to discounted tickets to some of your favourite plays. At the Birmingham Hippodrome, those with mobility problems will feel at ease whilst watching a performance in their impressive theatre. Thanks to their Access Forum Group, the theatre understands the needs of their guests and makes alterations to any issues that may arise. After a refurbishment in 2001, the Hippodrome caters towards each of the 500,000 people who come to see a production each year. Plus, with captioned performance, as well as relaxed shows taking place, there is something for everyone here. Since its opening in 1912, the Bristol Hippodrome has opened its doors to millions of visitors. Fortunately for those who require accessible access, it has made significant alterations to the original architecture in order to encourage all to experience the performances that it puts on. From the designated access entrance to the wheelchair boxes, the Bristol Hippodrome has it covered. Plus, with accessible performances with captions, as well as relaxed shows for those who have sensory conditions, the facilities are perfect.